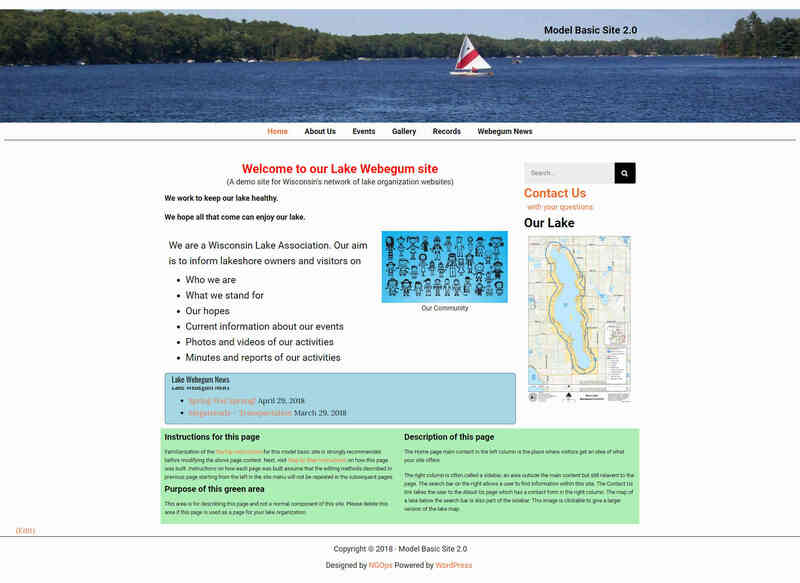 Basicsite-2 is a model basic template site for a lake organization using the network theme Genesis and a drag and drop page editor called Elementor. This example is a good starting point for building a lake organization site. It keeps page creation simple. To learn the general setup of the site, visit the Startup Instructions. To learn how each page was built, visit the Step by Step Instructions in the green box at the bottom of each page. If the interest exists, the site can be modified to include more complex components.